If you have any questions, please do not hesitate to contact us at (844) 207-7309. We reply within 24 hours ! If no, do you plan to attend in the future? Have you worked at Zehnder's in the past? If no, which one(s) do you wish us not to contact? How many hours are you interested in working weekly? Are there any activities that would affect your working hours? Briefly state your reason for wanting to work here and specify special skills, etc. Are you legally able to be employed in the United States? I certify that all information given herein is true and complete to the best of my knowledge. In consideration of employment, I understand that I am required to abide by all policies and regulations of Zehnder's of Frankenmuth and its subsidiaries and that my employment and compensation can be terminated with or without cause and with or without notice at any time, at the option of either the company and myself. If requested by management at any time, I agree to submit to search of my personal (or of any locker assigned to me) and hereby waive all claims for damages on account to such examinations. Although management makes every effort to accommodate individual preferences, business needs may, at times, make the following conditions mandatory: overtime, shift work, a rotating work schedule and work schedules including Saturdays and Sundays on a regular basis and holidays as needed. I further understand that this is an application for employment and that no employment contract is being offered. I understand that if I am employed, such employment is for an indefinite period of time and that the company can change wages, benefits and conditions at any time. 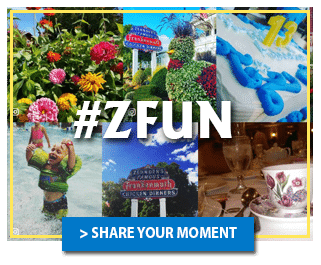 If you are having trouble submitting an application, you can download an application here and email it to webmaster@zehnders.com or mail it to 730 S. Main Street, Frankenmuth, MI 48734 or drop it off in Zehnder's Guest Services located in the main lobby of Zehnder's Restaurant.